Now that we know why captains are essential to the Sailo experience, we want to introduce one of our favorites, Captain Ray Thackeray, and his amazing Thunderbird 5, a classic 97’ Lemsteraak sailboat! The Sailo team was fortunate enough to meet Captain Ray at the Fort Lauderdale Boat Show this November, get a private tour of his beautiful classic boat and of course add his Thunderbird 5 to our Floridian fleet. Since founding the International Rescue Group (IRG) in 2010 Captain Ray has delivered aid to disaster zones across oceans by boat. Now, you can find him resting on Thunderbird 5 in Hollywood, Florida until January 2015 – so don’t miss the chance to book a sailing trip with him along the Fort Lauderdale Coastlines this holiday! Here we pick Captain’s Ray brain on his boat and his plans for IRG in the New Year. This boat is absolutely gorgeous, tell us about its history. Thunderbird 5 was originally built in 1978 in Holland for the German Navy as a cadet training ship, then was sold and converted to a private yacht. She was donated to IRG by Captain Edward “Butch” Martin. Ray, tell us about the International Rescue Group. What is it about? Our mission is “Support and disaster response to coastal and island communities – by sea”. While on standby, our boats are used to provide humanitarian aid and we work with a number of partner charities to help support their needs. All our people are volunteers. What countries are on your itinerary this winter? Our small fleet of boats (a 97 foot gaff-rigged ketch and a 56 foot ketch) are operating in the Caribbean and Gulf of Mexico out of our US base in Hollywood, Florida. The country that needs the most support in this area is Haiti and both vessels are running operations there this coming year including delivering medical supplies to orphanages and recycled sails to subsistence fishermen. Tell us about yourself. How did you get the idea to work on this? I founded International Rescue Group in 2010 after retiring from the dotcom industry in Silicon Valley, after planning for a decade. Island and coastal areas typically get little aid after disasters like hurricanes and earthquakes strike, and just one of our boats can generate 3,000 gallons of water per day – which can keep 10,000 people alive in emergency – using our reverse osmosis watermakers and accommodate doctors and nurses. Next year we are obtaining United Nations and World Health Organization designed portable hospitals intended to provide medical supplies post-disaster for a population of 10,000 for 3 months. How can people get involved to help the IRG? International Rescue Group’s website is http://www.internationalrescuegroup.org. Sign up, it’s free – and be registered as a volunteer. 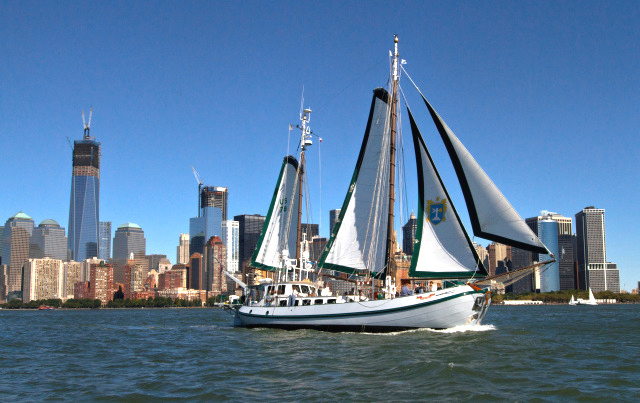 We need deck-hands, captains and mechanics who can help us keep our fleet operating. Alternatively, book a day sail with us in Hollywood, FL – not only will you have a fantastic day, but you’ll also help us fund our aid mission. So, Captain, what would you recommend doing for a day charter in Hollywood? A wonderful day out would be a cruise north in the ICW (Intra Coastal Waterway) to Port Everglades. Guests can enjoy calling the drawbridges, then head out to the open Atlantic for an exciting sail in the Gulf Stream, then back to the beach and drop anchor where guests can dinghy or kayak to shore and explore Florida’s coastline. 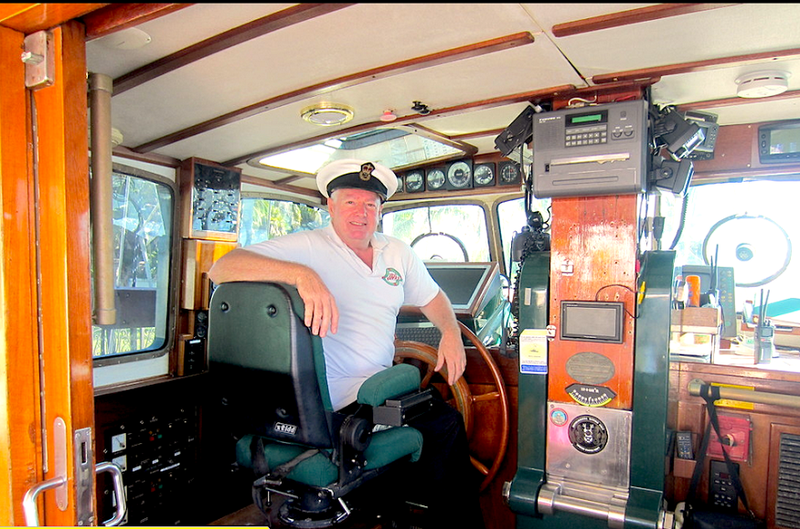 Thank you Captain Ray, we’re very excited to have you on board with Sailo! Don’t miss your last chance to book Captain Ray & Thunderbird 5 for a day before he sails off in January 2015 – visit www.sailo.com today and use promocode THUNDERBIRD for a 14% discount! All proceeds will go toward his next rescue mission in Haiti.